US tech firms are listing like crazy. Now London has got involved. Here are the companies to watch. While UK investors have been starved of IPO action so far in 2019, the situation on Wall Street could hardly be more different amid a potential stampede of big-name share issues. Ride-hailing service Lyft (NASDAQ:LYFT) beat much bigger rival Uber to the starting grid for what should be a flurry of major technology start-up listings in 2019, although it continues to trade either side of its IPO price. Pinterest has confirmed its $11 billion (£8.6 billion) float, while Airbnb and Palantir are also due to defy choppy market conditions in a tech-driven IPO resurgence that is drawing parallels with the dotcom boom. This is in contrast to the slim IPO pickings on offer in the UK at the moment, with recent action limited to AIM-listed pharma data analytics company Diaceutics (LSE:DXRX) and main market law firm DWF (LSE:DWF). However, even in the UK, things may be picking up. Café-bar chain Loungers, which runs the Lounge and Cosy Club brands, has just confirmed plans to float by the end of this month, and could be worth around £250 million. And today, we had confirmation that Finablr, the financial services firm which owns the Travelex and UAE Exchange Centre brands, could be coming to London. The company, set up Abu Dhabi-based Indian billionaire Bavaguthu Raghuram Shetty, is after $200 million of new money. But before that, MENA Land, a UAE-focused real estate cash shell begins trading here on Thursday. Brexit has long cast a shadow over the UK IPO market and, while the trickle of UK IPOs is encouraging, long-awaited listings for the likes of O2, Jaguar Land Rover or Deliveroo are unlikely to be risked just now. Overall, just 82 IPOs were undertaken in London last year, with the US-China trade war and market volatility adding to Brexit uncertainty as reasons for the lower figure. The poor debuts made by high-profile newcomers Aston Martin (LSE:AML) and Funding Circle (LSE:FCH) in 2018 won't have helped confidence among those preparing new listings this year. However, London is still favoured for cross-border IPOs, with companies including Czech cyber security firm Avast (LSE:AVST) and Vivo Energy (LSE:VVO) from Africa all listing in the past year. Network International is due to join them next month. The UAE-based payments group becomes London's first international IPO of 2019 when it floats 25% of its capital on the main market. The float has just been priced at between 430p and 450p per share. PwC says this is indicative of the "healthy number of companies" preparing for IPOs in 2019, most likely in the second half of the year. One of the most eagerly awaited - should the preparations be completed in time - will be UK fund manager M&G Prudential, which is being spun out of parent company Prudential (LSE:PRU). Another blue-chip name, Smiths Group (LSE:SMIN), said this month it planned to float its medical devices business by the middle of 2020. Spain's Telefonica is waiting for conditions to improve before progressing a split for its O2 mobile phone business. The operation could be worth as much as £10 billion, with the proceeds from the IPO likely to help meet the mammoth cost of 5G investment. Food takeaway firm Deliveroo has also put its IPO on hold, although this may change depending on how Uber progresses with its expected public markets debut this year. Uber could be valued as much as $120 billion should it go ahead with an IPO, compared to the $24 billion for Lyft. In an echo of the dotcom era of the early 2000s, the pair are among several loss-making tech firms currently planning IPOs in 2019. It's likely many of them are being brought forward to this year, based on expectations that the stock market cycle will have turned by 2020. But investors will be wary of the tech hype, particularly given that shares in Snapchat owner Snap (NYSE:SNAP) are currently more than 50% below their 2017 offer price. They will also have to be patient, based on how long it took for the likes of Amazon (NASDAQ:AMZN) to turn in a profit. Some 38 tech unicorns - privately-listed start-ups with valuations in excess of $1 billion - listed in New York in 2018, which is reportedly the highest figure since 2000. Now we're seeing the rise of the "Decacorn" - start-ups worth more than $10 billion. As well as Uber and Lyft, possible Decacorn IPOs in 2019 are likely to include Airbnb after the co-founder of the holiday rentals firm recently indicated plans for a listing this year. The company is thought to be worth as much as $30 billion. 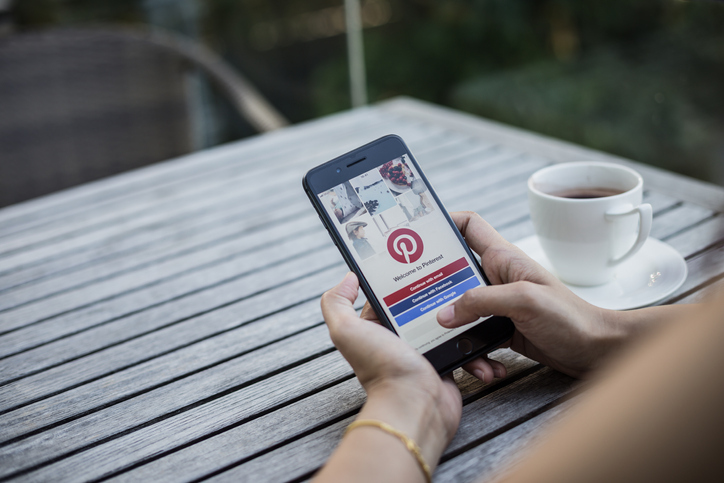 There's also social media app Pinterest, which published its offer prospectus recently and just announced what is deemed a conservative valuation of between $15 and $17 a share ahead of a listing on the New York Stock Exchange. A valuation of just over $11 billion at best is less than the $12 billion predicted. There is one big difference compared to many other IPO candidates, however, its losses are narrowing, in this case to $63 million last year. Video conferencing start-up Zoom goes one step further by disclosing in its pre-IPO prospectus that it is profitable. The $1 billion-rated business says this is due to having a large R&D team in China, where tech headcount costs are much lower than in North America. Other potential newcomers to look out for in the coming months include workplace messaging app Slack, which is expected to be valued at $7.1 billion. Rackspace, a cloud computing firm, is set to join public markets for a second time following a previous IPO in 2008. A private equity firm bought Rackspace in 2016 and is now reportedly looking to float the business with a value of $10 billion. Stock trading app and cryptocurrency exchange Robinhood is also said to be preparing an IPO, while the owner of office sharing business WeWork is another contender. Last month, jeans firm Levi Strauss (NYSE:LEVI) made a strong debut on the New York Stock Exchange, with its shares surging by almost a third on the first day of trading.